Real estate businesses in the Philippines are enjoying a great surge in the country’s real estate sector as global investors are flocking in willing to spend billions to further bolster the country’s real estate industry. Philippines, being dubbed as Asia’s new economic powerhouse continues to have one of the fastest growing economies in the region, coupled with low inflation and interest rates and strong remittances from overseas Filipino workers. Infrastructure spending is also rising rapidly as more and more property developers continue to build residential and commercial infrastructures all over the country. This is being considered by economic experts as a signal for sustained growth. However, despite experiencing a rapid growth, lots of local real estate businesses are still struggling to keep up with the demand. Most of these real estate businesses are still relying on paper for their day-to-day operations. In this series, we will be unveiling two major problems when it comes to managing a real estate business without using a reliable system and possibly provide direct solutions to them. Document management is one of the most vital aspects when it comes to managing a real estate business. It is also one of the most frustrating things to maintain in virtually any business, rifling through massive amounts of files searching for buyer’s documents is no easy task. Not only is this stressful, frustrating, and tedious, it can also affect the overall business performance because staffs will need to work harder, yet producing less. This often leads to the loss of buyer’s documents. In this industry, every document is very important to both seller and buyer because it can be the difference between the success and failure of a deal. One missing document can lead to banks not approving the home loan of a client, thus leads to loss of sales. Documents, whether electronic or paper, are an essential component of just about any enterprise, and having them stored in a secured, and easy-to-manage environment will save time and operating cost. Having a document management system for real estate will enable users to manage business and client information from several sources in no time. Through this, business operators will be able to focus on things that will help the business grow. Another benefit of having a reliable document management system is it enables users to retrieve lost files easily. Retrieving files without the help of any tool will be time consuming and often leads to the total loss of a document. There are lots of benefits in using an electronic document management system that every real estate business can take advantage of. Moreover, it allows the whole business to move through the digital era where the competition uses sophisticated technologies. Just like cash flow, inventory management can either make or break a business. The same goes for real estate businesses who develop and manage commercial and residential real estates. In spite the power of technology, there are still real estate operators who opt in to manual inventory management and tracking that often leads to inaccurate tracking. Dead Stock - These are materials that can no longer be used for some reasons - it can be out of season, out of style, or irrelevant. Rising Storage Costs - This is when a certain material is not used in time, it eats a lot of space in the inventory that is supposed to be used for more relevant items. This leads to both loss of income and spending more on inventory tracking. Not finding a reliable solution will delay the construction and delivery of projects which will lead to client cancellation. One of the best ways to deal with inventory management problem is to have a reliable system that is easy to use and can generate report in real time. In real estate industry, developers who can deliver projects in or ahead of time always win. One of major factor behind that is having a solid inventory management strategy that allows a real estate business to dish out construction materials in no time and re-stock again for future uses. More often than not, real estate businesses who use inventory management system always come on top because of the advantages the tool can give. Getting a system that can manage both documents and inventory will have a long term benefit for every real estate business. These two are one of the main growth factors of a real estate business, and managing them with precision and care will lead in an overall business growth. If you haven't tried using a real estate management system, take a look through our product features and plans. 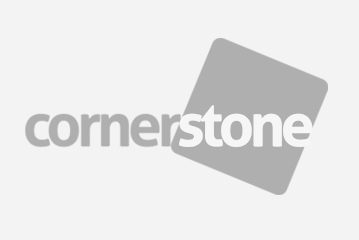 This should give you a better idea on how Cornerstone works. Or give us a call for a demo and trial.